Without having to undergo large amounts of time under construction you simply amplify the concrete already on your property. Concrete resurfacing is one of the most popular trends right now. When you choose to resurface your concrete, you are reigniting its life at a much lower cost than if you were to completely tear the old concrete out. When you choose to resurface existing concrete, you are saving time, money, and you allow yourself the possibility of different designs. When you hire a concrete resurfacing contractor, you guarantee professional work at an affordable rate. 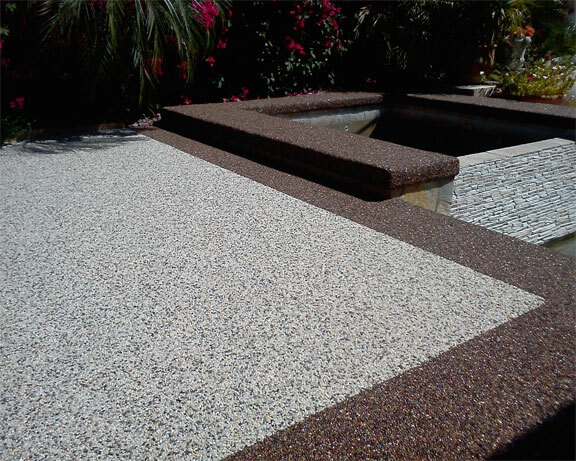 Resurfacing existing concrete, whether it is indoor concrete or outdoor concrete, pool deck, patio, or driveway, concrete resurfacing gives you the opportunity to brighten your old concrete. With the right concrete resurfacing company your old concrete can resemble the exact look of other types of surfaces. When our contractors resurface your old concrete, they are adding a coating that restores the old concrete, essentially, extending its lifespan. With a new surface coating, our professional concrete contractors are also protecting the old slab of concrete from minor damages. Resurfacing not only extends the lifespan of your concrete, but it also adds a protective layer and makes it look brand new. Concrete floor resurfacing is not only a budget-friendly choice, but it is also the most versatile, meaning, bringing your vision into reality is much easier. Our concrete contractors can help you design your floor to be whatever you wanted it to be when you resurface your concrete. But what’s just as great, installing the floor of your dreams is quickly done. Our concrete resurfacing contractors use the existing concrete and with minimal materials (compared to building a completely new floor) complete the job. When the process of resurfacing concrete is complete, your property value will instantly be higher. Your resurfaced concrete will appear to be a brand-new floor with improved function because concrete resurfacing hides any imperfections that may have been there before. Concrete resurfacing is the best option for you and your wallet. Pricing does vary depending on certain variables but, regardless, we are here for you. Our concrete resurfacing contractors are here to help you decide what flooring is the best option for you and your budget. If we talk average, $400 for a 100 square foot resurfacing project is typical; however, some concrete resurfacing jobs can be as little as $300. Price per square foot can range between $2 to $5 and then you have to consider what materials and machinery are being used. Concrete resurfacing is not the only cost but if you want some decorative features, prices can range from $8 to $15 per square foot while stamped concrete can be a bit more. When you resurface your concrete, you are breathing new life into it, therefore, elongating its life and saving money in the process. Each foundation, whether it’s an indoor resurface or outdoor resurface will vary in price but we are the best concrete contractors in the area and will work with you and your budget. When you compare the resurfacing price to completely building a new foundation, you see that concrete resurfacing is the much cheaper option. If you wanted to install new concrete, you could spend anywhere from $1,500 to $3,000. Our concrete resurfacing contractors want to help you, give us a call today. Having your concrete resurfaced not only gives the floor a new life but it also makes it much easier to clean and maintain. The sealer that is added helps protect the surface from any strong penetrating stains/chemicals. Your floor will have a new glossy look that is offered when you resurface your floor. Ignoring any small cracks, abrasions, stains, or chemical spills on your resurfaced concrete can lead to much more costly repairs and replacements. Your floors are much more capable of handling harsh environments; however, routine inspection can help diminish possible issues. When you are caring for your concrete, we suggest periodically checking for abrasions or cracks in the concrete that could allow spills or chemicals to further damage the surface. If harsh substances penetrate through broken areas your foundation could be in trouble. Sometimes damaging debris is left behind and if your resurfaced concrete is in a highly used area, then damage can occur. Light sweeping, mopping, or simply cleaning off the surface can help minimize any such damages. Luckily, when our concrete contractors resurface your floor, deep cleaning is not necessary, but when it is required make sure to avoid using harsh chemicals. 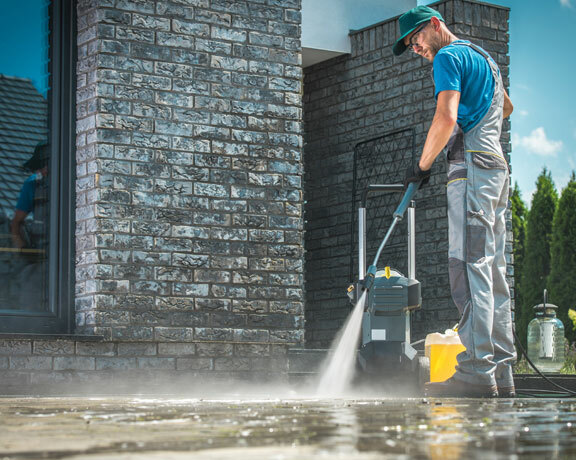 Depending on the type of concrete, the exposure to outside elements, and foot traffic can all determine what kind of cleaning and how much of it is required. Resurfaced concrete is easily maintained because of the protective layer that most surfaces have. The prevention of chemical penetration and resistance to wear and tear help keep your beautiful floors, well, beautiful.